We see more and more people with the habit of reading on their iPhone or iPad. Digital books or e-Books have become a sort of permanent pocket reading next to the skin, which is always with us and with the coming of mini tablets; the concept has spread and become even more entrenched. People begin to read everything on the iPad, from newspapers to magazines, pink sites, to technology blogs and cannot miss the bedside book. The important thing here is to have a good ipad e-Books reader for it to be comfortable, interesting and motivating, reading. To help you, we leave here 10 suggestions of readers of e-books that will captivate and transport the imagination of pages of each story or history book that is consuming. This application allows you to share the books that the reader loves the Goodreads, the world's largest site for readers and book recommendations! Over 10 million members and were added over 300 million books are in its shelves. It's simple to organize your history reading books add to the shelf, find other titles to your daily reading. A barcode scanner help to catalog all within the app file, keep the reviews of books by hand to share with your friends. There are more than 2000 public books, completely free that you can enjoy. No other application combines the power and depth of the Goodreads community with an enormous catalog of books and magazines. As with several other apps in this list, the books iba app was created by site iba for readers to read the ebooks purchased at this store, and is available for several platforms, including desktops. It is also worth mentioning that in addition to ebooks, the iba also offers books magazines and newspapers in copies sold in loose or through subscriptions. IBooks is Apple's ebooks player, where you can read the ebooks purchased from the iTunes Store and also PDF files and EPUB format. It has a very nice look, and provides integration of multimedia features that gives ebooks created for this great platform a very large potential. The thing that makes it valuable is that the iBooks (to date of publication of this post) is only available for Apple devices, i.e. iOS and MacOS. If you change your platform, you will not reader to read ebooks purchased from the iTunes Store. Many people do not know, but no need to buy a Kindle to read ebooks sold on Amazon. You can read them using the app provided by Amazon and available for multiple platforms, including Android and iOS. With the Kindle app, you have access to all of Amazon services, such as: immediately download a purchased ebook; Sync notes, bookmarks and highlights; read personal documents, with 5GB of space to store them in your Amazon library. These personal documents are your ebooks files, i.e., you need only read ebooks bought on Amazon; you can read your files, provided they are in supported formats and DRM. You can send them to the Amazon by email or through the application Send to Kindle. The Kobo app is also available for iOS and Android, and allows you to download and read ebooks purchased from the bookstore Culture and Kobo Books. In addition to reading ebooks, you also get the "extras" that e-readers from Kobo provide, such as badges (badges) that you earn as you go reaching certain goals. Marvin is a reader of ebooks that is not tied to any store. But it's important to tell that it only works with files in EPUB format that does not contain DRM (copy protection that virtually all stores use). It’s important to put Marvin on this list because it provides a very interesting feature: it synchronizes files with Dropbox and with Calibre, which can make life easier for many readers. It is important to note that Marvin is also only available for iOS, and is a paid app, which costs $ 3.99 (at the time of publication of this post). There is a free version available that you can use to test the functionality of this app. It is a limited version where you can use only one ebook at a time, but you can get an idea of ​​how the app works. 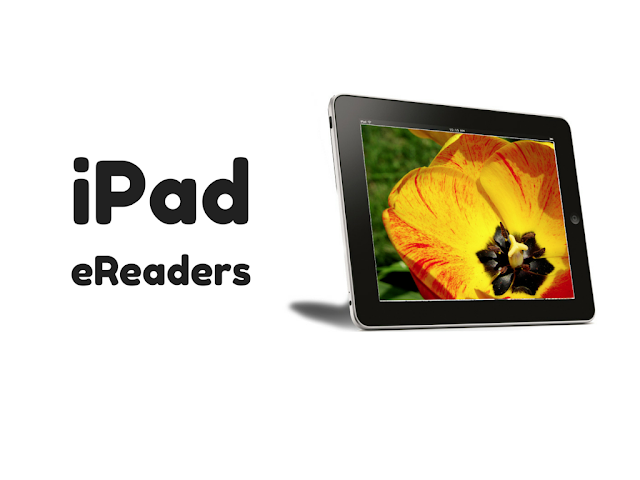 The Saraiva also sells ebooks and provides an application named as hail reader for iPad and iPhones. The application is also known as, Saraiva Reader. It is available on multiple platforms and offers the basic features of the readers of ebooks, such as annotations, highlights, customization of the display (font, background, spacing, etc.). However, based on the app description and user comments, it does not synchronize your notes and highlights. Therefore if you uninstall the app, you will lose this information. Bluefire Reader is a simple app for reading eBooks, ePub and PDF from shops and libraries around the world. With the Bluefire Reader, you can read digital editions protected by Adobe Content Server, the most commonly used ebooks rights management systems. This application was designed to be directly in the use of books, just a touch and you can change sheet, select a page or write down something. It is simple to look for a definition, an excerpt and send them via email, Facebook and Twitter. It has a large collection of books? Now you can organize them into collections. Wattpad is not only a reader of ebooks, but also a "store" of free ebooks, ie you browse, find ebooks that appeal to you, low and read everything in the app. Unlike the other list apps, Wattpad is best known for titles available by unknown authors. That is, a place for those who enjoy finding hidden gems. The site Scribd offers a different service of others mentioned so far: it is a subscription service. Instead of buying individual ebooks, here the reader has access to any ebook collection, which includes popular works as well as lesser-known authors who publish their own ebooks. The app works as a reader of traditional ebooks, with features notes and highlights, source control, background color, etc. In addition, you also browse the collection of ebooks on it. This app also syncs your point of reading notes, etc. with other devices, if any. These are some of the hundreds of proposals that exist in the App Store for iPhone and iPad. Each brings a different way of viewing, interacting with the text and save the location where your stops reading. Then, most importantly, each of which has its place of purchase of book titles, with different price range and the choice of the customer. Being a prfessional Research Writer in a UK based company named as Dissertation Writing Service, my passion is to write a quality content on different topics through which I can spread technical knowledge to public.